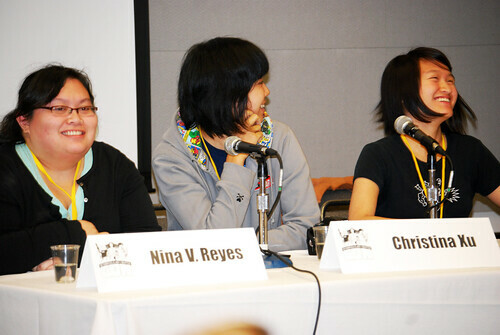 On Saturday, I attended the “Feminism, Race & Geek Culture” at Geek Girl Con 2011. 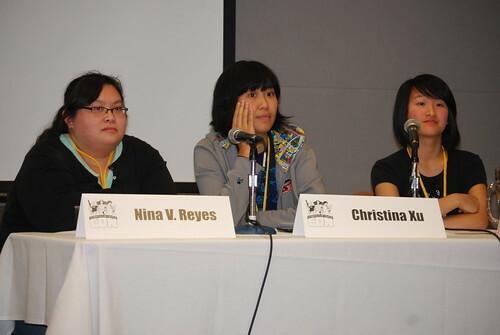 The Panelists were Nina V. Reyes, Christina Xu (Breadpig), Michele Hu and Regina Buenaobra (ArenaNet) as the moderator. I am glad I went to this panel. I wasn’t sure what to expect but I was rewarded with a great discussion with well-spoken women. 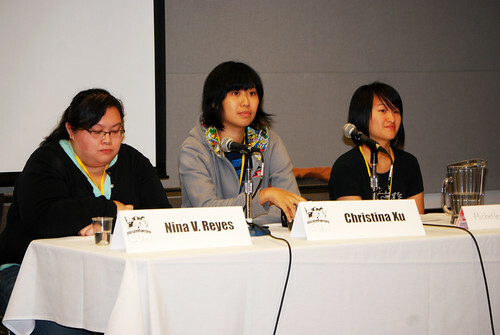 They touched on quite a few interesting points about female and Asian culture in geek media. What I really appreciated about the way these women approached sensitive issues without having to be defensive or threatening to other people. They even gave great advice on how to deal with negative internet interactions. 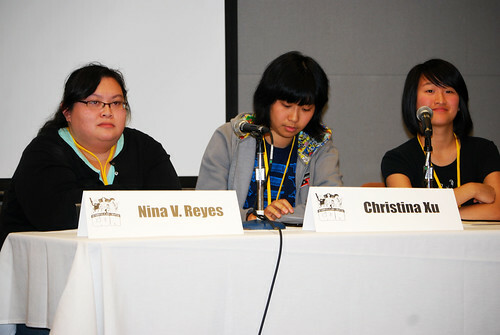 Despite having less than one hour to talk, I believe Reyes, Xu and Hu got a lot of great points across the table. Hu discusses Firefly and how (even though she herself is a fan of the series) unfortunate it seemed that the series completely butchered the Mandarin language. She brings up the question whether the show only wanted to use a Chinese language and culture as something “decorative” since it never got to explain why they were speaking in Mandarin in the first place. There weren’t any Asian characters in the show so she questioned the purpose of using Chinese culture. She wondered why there wasn’t anyone on staff to check the accuracy of the language usage despite its production value. 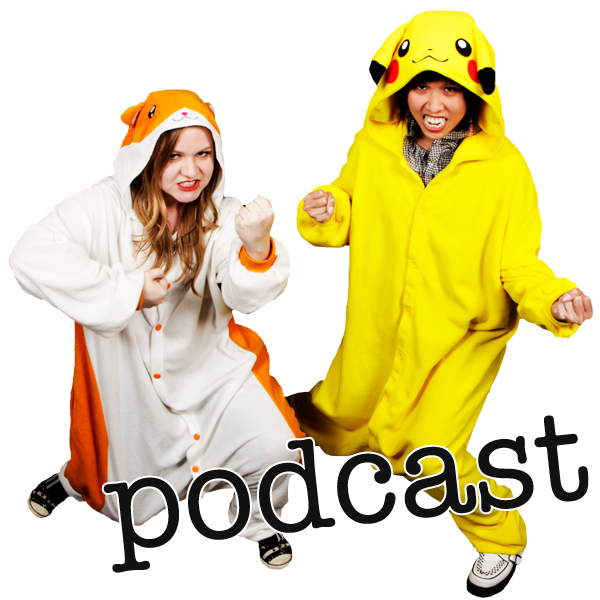 The girls talk about the lack of Asian portrayal in most of popular media to this day. Xu commented that she was “stuck with Jubillee [X-Men] all the time.” The touch on how exoticism still seem to attach itself to Asian characters and there are still a fantasy based view on Asian women. They all agreed that Avatar: The Last Airbender was a great show to represent Asian culture. Xu says that she liked the cartoon series because even though the characters are fantastical, they are well developed and are not limited by their race. Great quote from Hu: “You’re Asian, you must be good at math– not you’re a woman, you must be bad at math. How do I pick this battle?” They bring up how women of color are fighting two sides: stereotypes about their race and their gender. Xu brings up an interesting point about the geek community and our tendency to work inwardly with the ‘are with us or are you with them?’ attitude. She compares it to a “defensive huddle” which is why so much internet rage happens when they feel an ‘intruder’ is trying to come in and change how they think or feel.Â She comments that geeks have to “leave their identity at the door” and that people assume “you’re a white, male geek first before anything.” Although communities aren’t a bad thing, geeks need to be aware that we are no longer the “Comic Book Guy” stereotype and we come in all shapes, sizes, color and sexuality. We can’t force everyone into a box to conform to what the privilege feel is safe for geeks. The ladies all agree that avoiding the media isn’t the solution. Although there are “no Asians” in television and movies, we shouldn’t stop watching and caring. The people who complain are the people who care. They believe the geek community would benefit from listening and learning from each other. They think the “white male” will need to realize that when someone “calls them out” for being wrong about the portrayal ofÂ female characters in comic books, etc. that it’s not about them. It’s about the system and we should all work together on dismantling the hierarchy instead of a constant defensive reaction. People need to be gracious and listen. They believe in breaking down the old structures of fandom and corporation. They also advice frustrated geeks that if they are part of the marginalized group and they feel that no one is listening to them, that it’s okay to take a break and it is not our job to teach other people [of privilege].